Colonia, Yap – Mekeli Wesley made his tournament debut for Guam, but the offense got off to a slow start against the 2014 Micro Games hosts in Pohnpei. 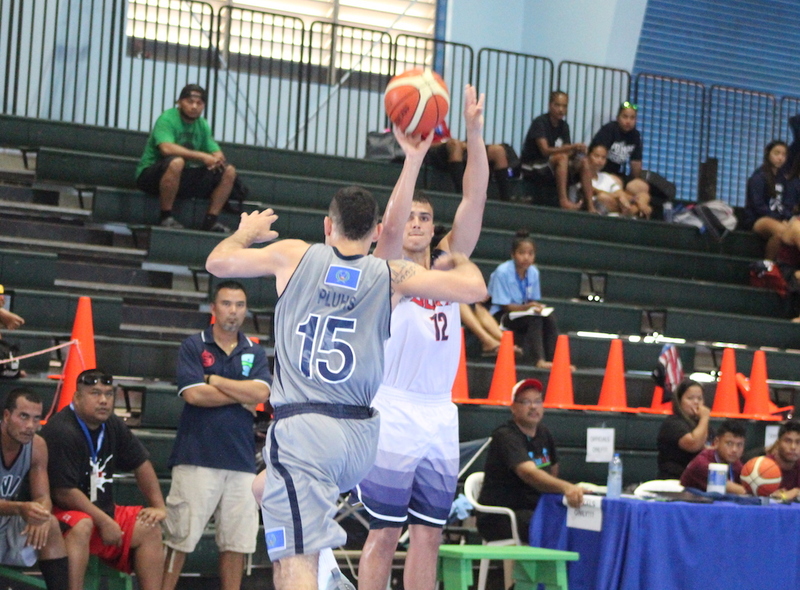 Guam came away victorious 81-61 as they stay unbeaten (3-0) in pool play. Guam’s offense seemed stuck in the mud after the tip, but a half-court buzzer beater from Billy Belger kept Guam ahead 17-10 against the gritty Pohnpeians. Wesley’s first touch resulted in a bucket for Guam after checking three minutes into the game, and he added three more scores in the 2nd as Guam kept a 37-22 lead at the half. The offense found it’s rhythm in the second half as they reached their highest point total in the Micro Games thus far at 81.